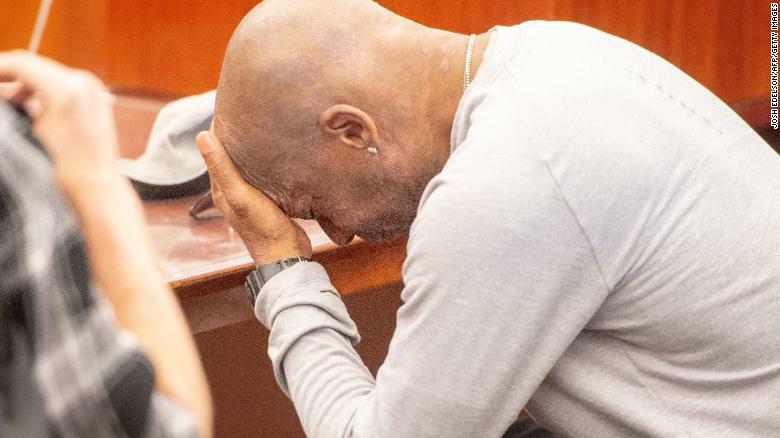 San Francisco jurors just ruled that Roundup, the most popular weedkiller in the world, gave a former school groundskeeper terminal cancer. So they awarded him $289 million in damages -- mostly to punish the agricultural company Monsanto. 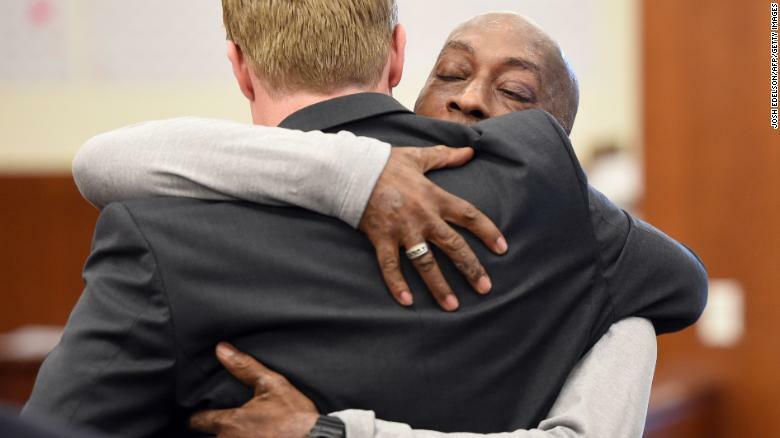 Dewayne Johnson's victory Friday could set a massive precedent for thousands of other cases claiming Monsanto's famous herbicide causes non-Hodgkin's lymphoma. Johnson's case was the first to go to trial because doctors said he was near death. And in California, dying plaintiffs can be granted expedited trials. CNN reported last year that more than 800 patients were suing Monsanto, claiming Roundup gave them cancer. 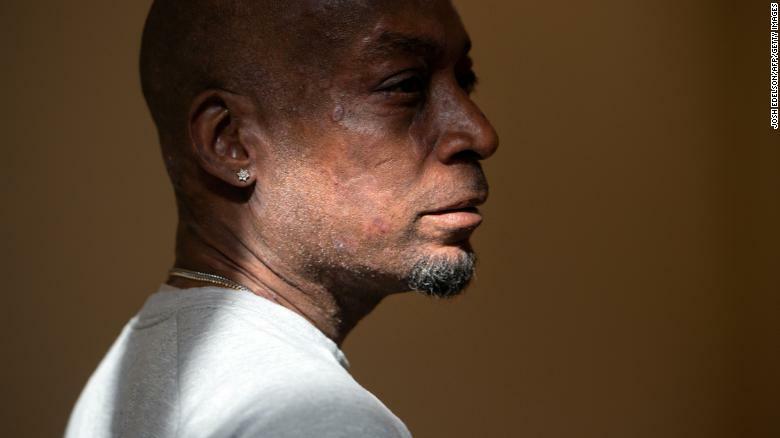 Since then, hundreds more plaintiffs -- including cancer patients, their spouses or their estates -- have also sued Monsanto, making similar claims. After three days of deliberations this week, the jury at the Superior Court of California in San Francisco awarded Johnson $250 million in punitive damages and about $39 million in compensatory damages. It won't change the fact that Johnson's two sons might lose their dad soon. But it will help them live more comfortably, Johnson's attorney Timothy Litzenburg said. Doctors weren't sure Johnson would live long enough to see his trial. "He's going to live the rest of that time in extreme comfort," Litzenburg said. After the verdict, Monsanto issued a statement saying it stands by the studies that suggest Roundup does not cause cancer. "We will appeal this decision and continue to vigorously defend this product, which has a 40-year history of safe use and continues to be a vital, effective and safe tool for farmers and others," Monsanto Vice President Scott Partridge said. But Litzenburg said an appeal would be costly for Monsanto, since the company would have to pay interest on the damages while the case is being appealed. That's about $25 million a year, he said. He testified that during his work, he had two accidents in which he was soaked with the product. The first accident happened in 2012. On bad days, Johnson is too crippled to speak. Lesions cover as much as 80% of his body. 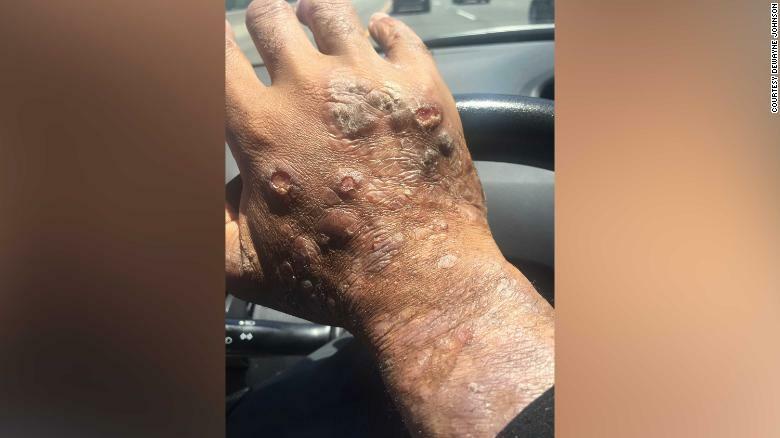 Johnson had lesions on most of his body, a doctor said. 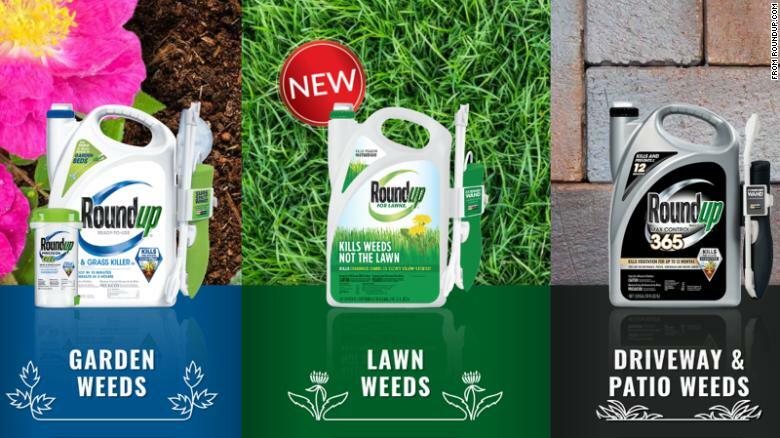 The big questions at stake were whether Roundup can cause cancer and, if so, whether Monsanto failed to warn consumers about the product's cancer risk. The jury sided with Johnson on both. In March 2015, the World Health Organization's International Agency for Research on Cancer (IARC) said the key ingredient in Roundup, glyphosate, is "probably carcinogenic to humans." But Monsanto has long maintained that Roundup does not cause cancer, and that the IARC report is greatly outnumbered by studies saying glyphosate is safe. "More than 800 scientific studies, the US EPA, the National Institutes of Health and regulators around the world have concluded that glyphosate is safe for use and does not cause cancer," said Partridge, Monsanto's vice president of strategy. He highlighted the Agricultural Health Study, which studied the effects of pesticides and glyphosate products on farmers and their spouses from 1993 to 2013. "We all have sympathy for Mr. Johnson," Partridge said this week. "It's natural he's looking for answers. Glyphosate is not the answer." 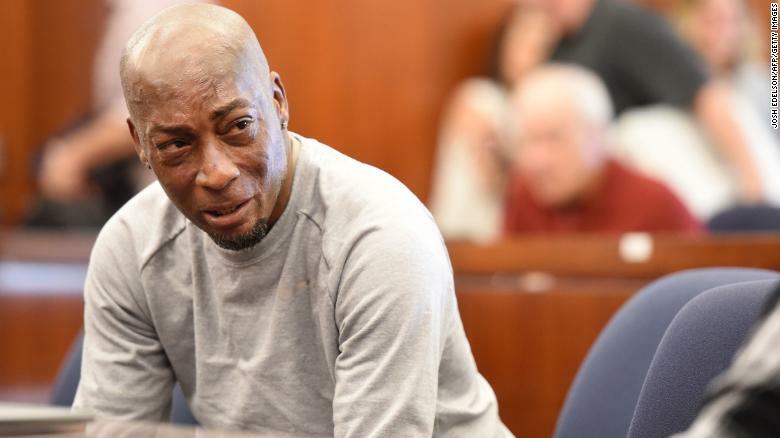 Johnson watches in court as the first cancer patient to take Monsanto to trial over Roundup. But Litzenburg said Friday's verdict should be a huge wake-up call to the EPA. "I think it's going to make people sit up and make government agencies take a closer look at banning (Roundup)," Litzenburg said. While it was medically impossible to prove Roundup caused Johnson's terminal illness, it's also impossible for Monsanto to prove Roundup did not cause his cancer. 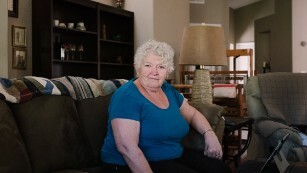 Thousands of other plaintiffs are awaiting trial, claiming Roundup causes cancer. But that doesn't mean Johnson's attorneys had to prove Roundup was the sole cause of his cancer. All they had to prove was whether Roundup was a "substantial contributing factor" to his illness. The majority of lymphoma cases are idiopathic -- meaning the cause is unknown, according to the American Cancer Society. Litzenburg said he and other attorneys have more than 4,000 similar cases awaiting trial in various state courts. But one advantage of filing in state court -- as Johnson did -- instead of through MDL is that state courts sometimes produce outcomes faster. And that can be priceless for terminally ill patients. Litzenburg said Friday's verdict is historic, especially since Roundup is the most widely used herbicide in the world. "This is a big victory for human health worldwide," he said.